Juanita Tyler Carter 90, of LaGrange, passed away on Monday, January 16, 2017. She was a member of Shiloh United Methodist Church. She graduated from Jeffersontown High School and attended Nazareth College. Juanita was a book keeper for Ashland Oil and volunteered at Baptist Health in LaGrange for 20 years. Preceding her in death was her husband of 66 years: Charles David Carter. 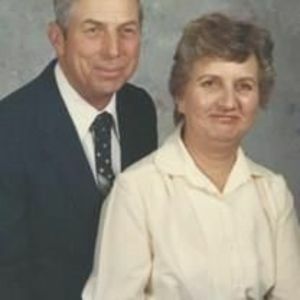 Survivors include her children: Sherry Ann Carter and Dr. Daniel William Carter; siblings: Eugene Tyler (Barbara), Walter Tyler (Ilene) and Patsy Welch. A memorial service will be conducted at 6 PM on Friday, January 20, 2017, at Shiloh United Methodist Church with visitation from 5-6 PM. A reception will follow in the fellowship hall after the service.